Who doesn’t love a contest??? I am a fool for them. Which is good, since I’ve become a follower of so many great blogs because of them. Well here’s your chance to become a follower of THIS great blog. Yup, it’s the circle of life. Ok, where was I? Oh, yes, our contest!!! 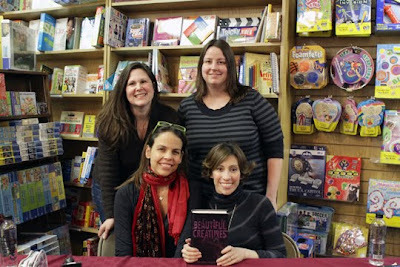 Well as you read earlier in the week, two of the Bookworms, Heather and I, met in RL and went to the Beautiful Creatures book signing in Downers Grove, IL. At that book signing, I was well…pushy enough to ask Kami Garcia and Margi Stohl to sign a couple of extra copies of their book; which they graciously did. What does that have to do with you, dear reader? Well, we’re giving one away to ONE LUCKY WINNER!!! So, how do YOU get to be said winner? Easy! Just enter the contest! +1 entry for posting about the contest on your blog (please leave a comment on this post with the link to the post on your blog). Feel free to use the grab me code on the side bar to use our graphic. 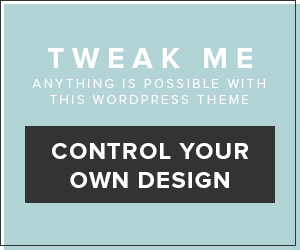 +2 entries for putting a link to the contest up on your sidebar (please leave a comment on this post with the link to your blog). Again, feel free to use the grab me code on the side bar to use our graphic. The winner will be announced on 03/28/2010 which happens to be the day that fragile will wrap up the Beautiful Creatures book discussion on her blog. The contest is open worldwide (with many thanks to Danny who has generously offered to pitch in for shipping overseas! ), so jump in and enter NOW!!! 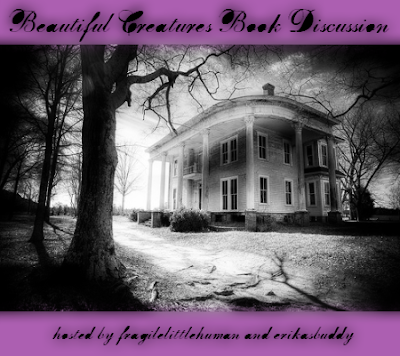 And while you’re waiting to see if you are indeed the lucky winner, stop by fragile’s blog and check out the book discussion she’s hosting for Beautiful Creatures. It’s FANTASTIC!!! LOL CIRCLE OF LIFE! That's my line – only I never actually pasted in the movie clip. You are my hero!!! Awesome! I would really like to read this book, and this one of the rare chances I have to get a copy in English. I tweeted about the contest. @Jelly_Babes is my twitter username.I will most definitely make a post on my blog tomorrow about this contest and link it. Yes, I want to win this book that badly. I've been hearing so much about it. =)Oh, and yep, I'm a follower. Thanks to your contest and Jelena's tweet, I'm a new follower. 🙂 Your blog is awesome, BTW! OoOooo we love giveaways!! Thanks Sweetie so much for this one! And I had to make sure also people from outside the US can enter this giveaway, I always feel so bad when I can't enter a giveaway just because I'm from Europe! Anyway, good luck to everyone!! As promised, I have included you in my blog post, and on the sidebar of my blog. Here's the linkConfessions of a Twiholic@Mrs.V. – Thank you so much for making it possible for us in Europe to enter this contest. You are really sweet. Hi. I am a follower and I would love to enter your contest…. Hey there!! I want to enter the contest!! LOL! Theres on entry.I am a follower of the bloggy.Yet another entry.I don't have my own blog but this came from Fragile's blog and her blog becomes my blog on Fridays (LMAO! look how bold I am lmao!) 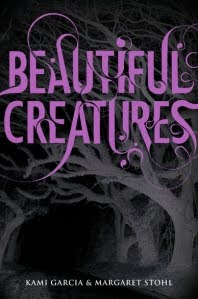 but it is on there right now ;)Heres a link:http://fragilelittlehuman.wordpress.com/2010/02/28/beautiful-creatures-book-discussion-week-6/#commentsIts not on the sidebar yet but I'll moan and groan till it is and once it is then I'll tag ya back with yet another entry :)woohoos! Loves the contest! 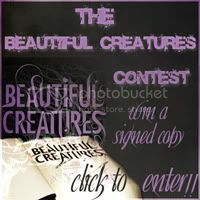 I am a follower, I RT;d your contest, and tweeted my post that has your contest, link to my post; <a href="http://truebloodtwilight.blogspot.com/2010/03/beautiful-creatures-my-book-review.htmlhttp://truebloodtwilight.blogspot.com/2010/03/bea… />and I have your link to your contest on both my TrueBlood Twilight blog, and my other book blog.I need this signed copy!! Woohoo! This is awesomeness! =) Good luck everyone! I am a new follower and tweeted @bangersis http://twitter.com/bangersis/status/10127049938 My email is bangersis(at)msn(dot)comThanks!! Became a follower!+1 for tweeting+2 for putting the link on my sidebarThanks for making it International, I've beed dying to read this, and would love to win! Hey, awesome! I'd love to enter!http://twitter.com/donteatacowman (I'll tweet about it ASAP! )http://donteatacowman.blogspot.comhttp://donteatacowman.blogspot.com/2010/03/beautiful-creatures.htmlSo that's five entries! 😀 Thanks for making this contest! Hey I'm a follower, please enter me, I am reading this right now but a signed one would be awesomesauce itself!!! I'm a new follower and I just tweeted @MadeleineRexI'm dying for this book! I'm not entering cause i'm gonna try to make my way to a book signing to have my copy signed so I can meet the authors…but…I'm sending all of my Irish luck out in vibes to the contestants! GOOD LUCK!! I definately want to enter, I'm a new follower! I probably should post some of the entries I've done for the contest+2 sidebar: <a href="http://dioa.blogspot.comhttp://dioa.blogspot.com<br />+1 blog post: <a href="http://dioa.blogspot.com/2010/03/so-i-havent-had-chance-to-crack-open.htmlhttp://dioa.blogspot.com/2010/03/so-i-havent-had-… />Good luck everyone! lattelissa follows you and tweeted the following: Time is running out on @BwitchedBkworms Beautiful Creatures contest! http://bit.ly/99CSwk LOVE LOVE LOVES THIS BOOK!!!! !